Originally reclusive eccentrics, the Bostonian CoA have begun a transition as a new leader transforms them into a dangerous cabal. Adds new weapons! Adds new armors! Adds new consumables! Stronger enemies! All integrated into overhauled leveled lists! 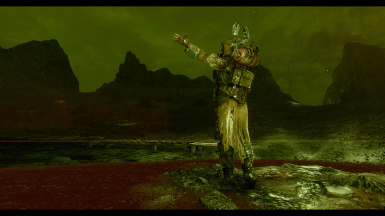 PRAISE ATOM! Now also available through South of the Sea! - (AWKCR/AE) Fixed missing information for Atomite rags/robes. - Retooled Gamma Grenade, had incorrect effects. Nerfed duration of hot zone, increased its size. - Minor Adjustments to Scourging Purgative, created -END effect from scratch. - (AWKCR/AE) Overhauled all armors, added carrying capacity mods for Ashland Torso. Added misc mods for Ashland Helm. - Added PC LVL Mult and Auto-Calc stats to Atomite classes, vanilla and new. - Fixed typo in Ashland Feeder Leveled List. 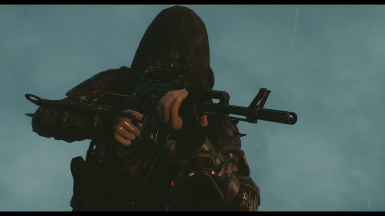 - Those versed in FO4Edit may wish to make these changes themselves, as necessary or if willing. - (Thanks to katattax) Fixed erroneous entries in Sister Mai's inventory with links to dead leveled lists. Augmented AWKCR to include modifiers to support Armorsmith Extended. Changed ALL cloth Atomite Garb to slot 33 by default. Individuals with Armorsmith Extended with not be affected, as this change is already present. 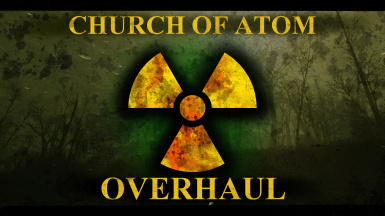 An overhaul of the Atomite Faith. Behold the supplicants! Once creatures of mockery, they now stalk tattered remains of humanity. This mod was graced by the mighty Acolyte Thirdstorm, blessed be! Blessed be! XBox version supported through South of the Sea﻿! As it stands this version will not be available through XBox standalone. Attention PC Users! South of the Sea is NOT compatible with this mod! Use one or the other! Originally reclusive eccentrics, the Bostonian CoA have begun a transition as a new leader transforms them into a dangerous cabal. Adds new weapons! Adds new armors! Adds new consumables! All integrated into overhauled leveled lists! Even more! You'll find renamed hierarchies, more ranks for the Atomites, and their loot expanded and their combat prowess drastically increased and their stamina in battle magnified! Bold their religious fervor has made them mightier than before! 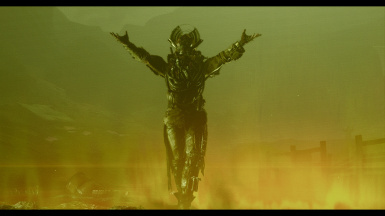 PRAISE ATOM! = Katattax for providing the VIS Compatability Patch! Behold! Thank you to the community for such an honor! Welcome beloved faithful! In order to craft these sacred relics, one must note the relevant Sources. Should you find yourself without AWKCR, your crafting will be done at a Chem station. IMPORTANT, NEOPHYTE! Future alterations will likely REQUIRE AWKCR! For the time being, enjoy this morsel. A genesis! A rebirth! See now the weapons of yesterday and the armor of yesteryear are here! Take note! 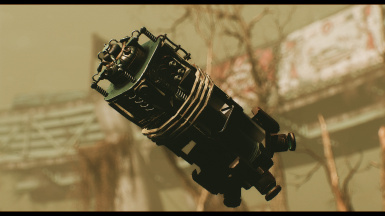 A heavy weapon that fires surges of gamma radiation, blessing the ground with Atom's Glow! A relic of the past, this grenade will saturate a given area with the Glow! Enemies behind cover will gain little from it, I assure you! Worn by the most pious of the Inquisitors, this armor is available with and without a blade! Such grace! Guardians of the Sacred Sentinel Site wear this protective gear, bear it well child! 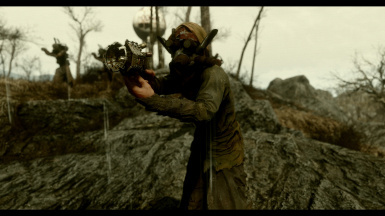 A light, lithe leather armor for those stalking within Atom's veil! Available without shoes for the ultimate stealth experience! This craftable item from Artificer Eskanonen will turn Atomites friendly! Be WARNED, may not function if wearing powered armor! 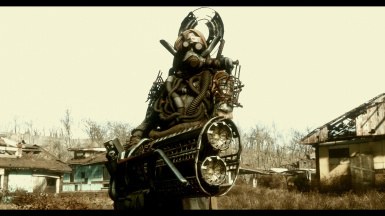 Incursions from the Ashland Homestead upon the shores of the Dead Lakes Wasteland have brought us new faithful with frightening armor! Rejoice as our enemies are scattered before us! - Holy water: Water blessed with Atom's Glow! - Gutworms: Boiled from dogmeat in blessed waters, these ravenous parasites will consume addiction causing compounds and other maladies! - Scourging Purgative: Unblessed may wish to scourge their body, and gain the Glow anew! This chemical cocktail will do just the thing! - Water Angels: Microscopic fungi crust formations can be ingested, granting a weak long-term, glow consuming blessing. Be warned, if your body can not sustain great amounts of Glow, make use of the Scourging Purgative. Angels should be ingested before seeking Atom's Glow! - MoThEr's Milk: A derivative of jet, water taken from the holiest of holy sites in Far Harbor will grant its believers substantial power! - Waster's Delight: A delectable can of proteins and derived insoluble matter! Not for just any tourist, of course. All armor takes up your 33 slot, and all helmets take up the hair/headband slots. Want to swap out your favorite gas mask? You'll find the myriad helms to your liking! This will ideally be available for consoles in the future! This armor was created for my version of Nora. I'm a writer more than a screen archer and doubly more than a modder. If you are interested in seeing what a Raider-Gone-CoA Nora looks like, and you are not sensitive to violent or adult themes, feel free to see my gallery for more. Due to their macabre nature, reader discretion is advised. You have been warned. Thirdstorm: Thank you for your help. Seriously. There have been numerous time in which this mod would have collapsed under its own weight. Like Karna5 below, you were patient with my pace of learning. 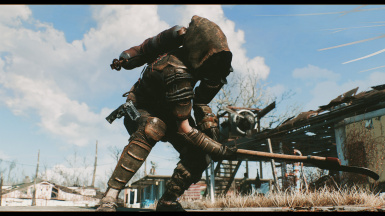 You helped see a small outfit mod turn into a full-fledged overhaul. Karna5: Nothing about this mod would have been successful without your assistance. Thank you, thank you very much. You turned a writer into an official modder. Crimsomrider: Crimsonrider, as well as being amazing, is also informative, patient, and skilled. While Karna helped me get the armor mashed together, Crimsonrider threw up the hood and found any missing pieces that could prove detrimental to your armor wearing experience! Elianora: Thank you for the video you posted on YouTube. 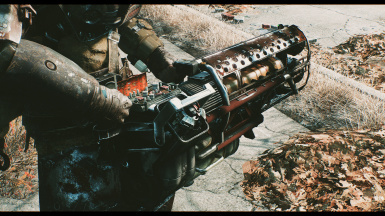 Seeing the crafting in FO4edit done in person was awesome. Ascendia: Thank you for your kind words, always. 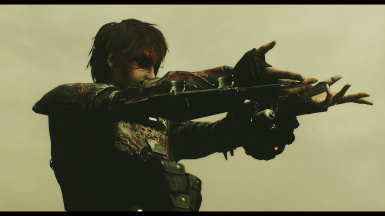 You got me into the art of screen archery, and I utilize your mods in the screenshots. IheartRunningman: What's a screen archer without their favorite ENB? Shoutout to this guy! Avallonkao: Supremely talented, Nora wouldn't look the same without this guy. Check out his textures! Other Shoutouts in no particular order! dragonfire3405, Cavalier753, GrendelofSiealvgrund, MissMorose, eufscht, Ruiwen, gmg2dave, Anataron, ThisMalkavian, kabanos1, 7StringSamurai, scooter666, BLAMM, ritchieblackmore, Corfus, AGreatWeight, SteelCore, Wrath3094, Temesia, Hawkscr1mer, Hajoooko, Daftbunny. There are so many others! Thank you all for supporting my writing. 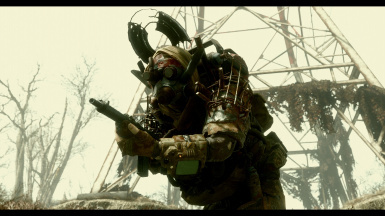 And of course, thank you to Gambit77, valdacil, Caliente, ousnius, Ethreon, TheLich, g2mXagent, joemitchell320, MadMAX713, and so many other talented modders that planted the seeds. Oh, and thank you to Bethesda of course! 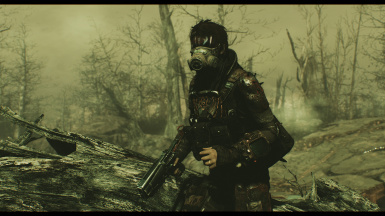 After all, this mod utilizes Bethesda only resources!